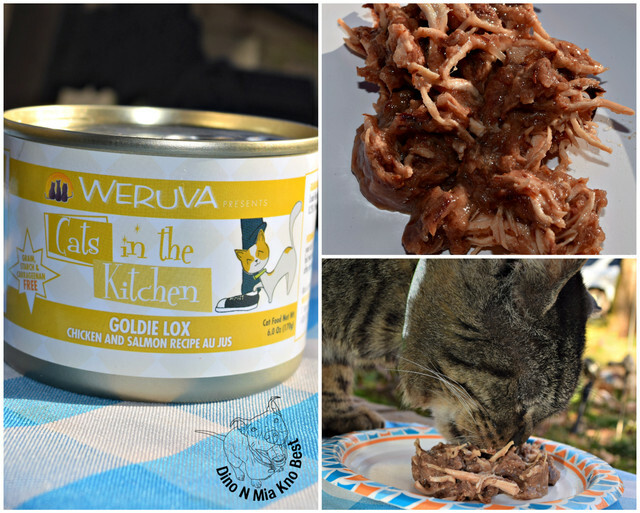 Weruva is the go to cat food. Real deboned meat in gravy made with the best ingredients. Recipe contains no grains, gluten, potatoes, GMO ingredients, MSG or carrageenan. Great for picky eaters, cats with allergies, and all life stages. My dogs would rather have a dental chew than have me brushing them. 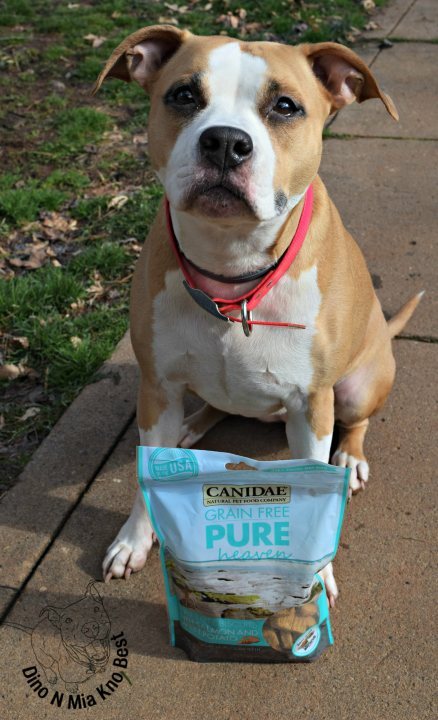 Canidae Grain-Free Pure Heaven Dog treats are a crunchy texture that helps clean teeth. You can even snap the treat in half to make smaller treats. 30+ treats in each 11oz bag. Have you heard of Chewy.com brand Bones & Chews? Bones & Chews has what the name is, bones and chews for you dog. From dental chews, ears, bully sticks, jerky and freeze dried treats. All-natural. with no additives, chemicals or preservatives. Taste the kitty rainbow with Solid Gold Holistic Delights Creamy Bisque with Coconut Milk. 6 different yummy flavors: Chicken, Crab, Tuna, Beef, Shrimp and Salmon. Miko is Chewy.com new line of wet cat food!! Miko has NO grains, wheat, corn, soy, carrageenan, or artificial flavors, colors or preservatives. Made with real pieces of fish or poultry. Lots of yummy recipes to pick from. Zignature is a USA Made dog food that is CHICKEN FREE! Do you know how hard it is to find a dog food without Chicken? Really hard. Mia can't tolerate Chicken at all!! Zignature is a top rated dog food, Plus has so many different protein formulas. Did you know feeding Raw is easy? 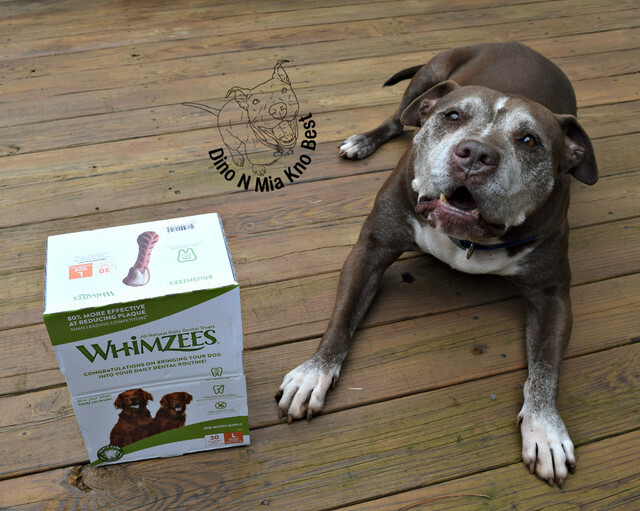 I got the chance to try out Stella & Chewy Freeze Dried Raw Dinner Patties for 30 days! I will be using these as a mixer for my dogs kibble instead of boring wet food. Cookie got to try Castor & Pollux Pristine pouches for the first time. Have you heard about The Honest Kitchen new Pour Overs? I'm so excited to review this new product, I love The Honest Kitchen Company! Hook your dog's kibble up with this tasty slow cooked stew. So many yummy flavors with bone broth, pumpkin or superfood.